Suzuki is making a big effort to regain lost ground in the large-capacity motorcycle market and the new Suzuki Katana is just one of a promised 10 new models by 2021. The Katana name – which is a type of Japanese sword – returns to the Suzuki line-up 38 years after the original Suzuki GSX1100S Katana was launched, fittingly, at the Cologne motorcycle show. You can read a history of the original Suzuki Katana here. 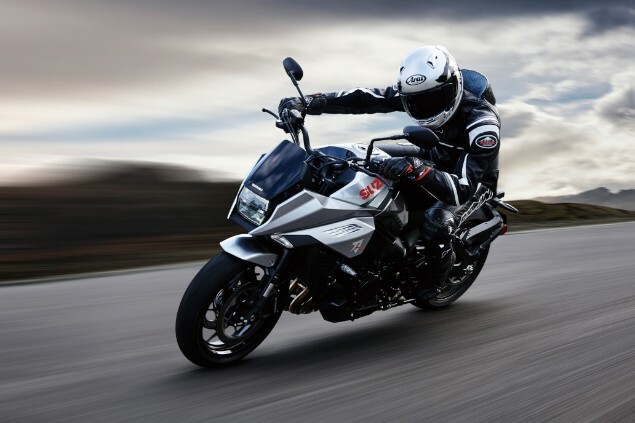 This was a big moment for Suzuki, made clear by the fact that global CEO Toshihiro Suzuki was there to launch the new bike, and it was him that made the pronouncement about the surge of new models to come in the next few years. Getting to the launch of an actual new production specification bike has taken Suzuki a long, long time and can be traced back to the Stratosphere Concept that was shown in 2005. After that there was a Katana 3.0 Concept shown in 2017. And now, finally, we have the finished article. Suzuki isn’t making a big deal about where the underpinnings of this bike have come from but to go from a decision to make this bike to production in just three years there was no way a new bike was going to be developed from the ground-up in time. So, underneath the retro-modern bodywork and styling sits the 999cc four-cylinder motor and twin-spar aluminium chassis used in the Suzuki GSX-S1000. This means a peak power output of 150bhp with peak torque quoted as 108Nm at 9500rpm. The engine is a long-stroke design of 73.4mm x 59.0mm which has always been well received for its blend of smooth torque and power; even if the throttle response has been deemed a little bit jerky by some testers. The 43mm upside down front suspension and an adjustable rear shock absorber have been designed by KYB and the front Brembo monobloc brake calipers are the same as those used on the Suzuki GSX-R1000 superbike. In common with the rest of the range, the new Katana gets an ABS anti-lock braking system developed by Bosch. 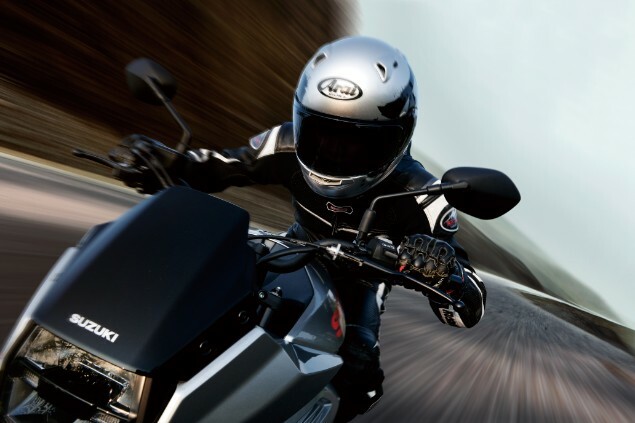 The new Katana has three-mode traction control; which can be switched off, but when engaged, monitors front and rear wheel speeds, throttle position, crankshaft position and the gear position sensor. 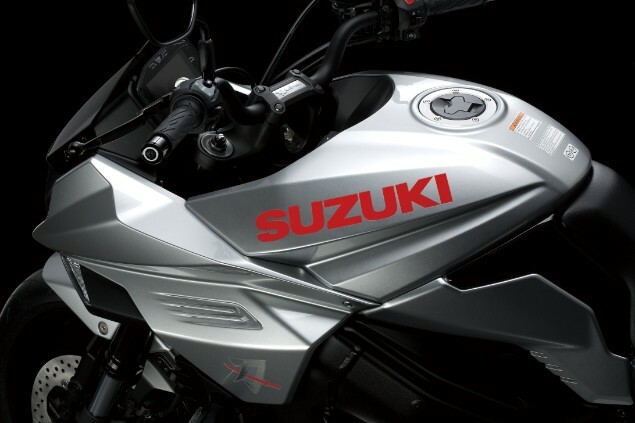 The system reduced engine output when rear wheelspin is detected by altering the ignition timing and air delivery which, Suzuki claims, ensures a smoother traction control intervention and is less noticeable when the power reduces. 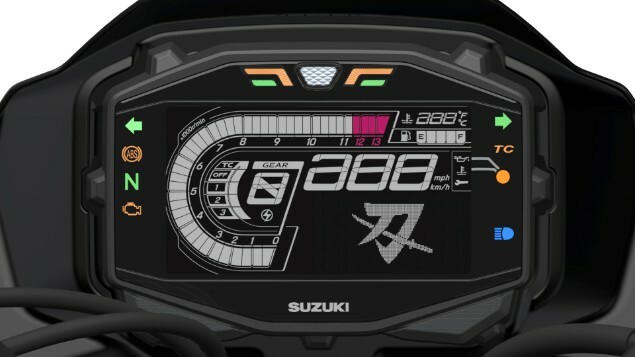 The Suzuki Katana gets a new LCD dashboard which shows a large amount of information including a tacho, odometer, trip meters, gear position, water temperature, fuel range, average fuel consumption, instant fuel consumption, fuel gauge, clock, lap time and battery voltage. The new bike is expected to be available in dealers in spring 2019 and at the moment there is no word on the price but Suzuki GB bosses have said it will be priced as a ‘premium’ product so we would expect it be around the £12,000 to £13,000 mark. 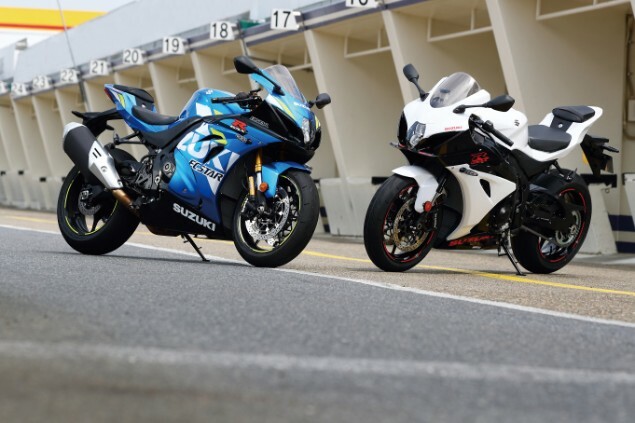 Suzuki has given the superbike GSX-R1000 range some small updates for 2019 which have been made to improve performance. The biggest change is the addition of an adjustable swingarm pivot to the GSX-R1000R, which to most road riders is a fairly irrelevant update, but to racers and trackday riders it will give an extra level of adjustability. The braking performance has also been improved with the fitment of braided stainless steel brake hoses at the front rather than the previous rubber hoses. A quickshifter that works going both up and down the gearbox for clutchless gearchanges is now standard on the GSX-R1000 and blips the revs for smoother gearchanges on the way down through the gears. New Bridgestone RS11 tyres replace the old RS10s previously fitted.